Winter weather is coming. Is your car ready? Many drivers forget about their cars until they end up stranded on the side of the road. With a little bit of attention now, you can be well prepared for whatever driving conditions you face. Before winter hits in full force, take your car in for a routine service and oil change appointment. Your mechanic will check all of its systems and parts to ensure they are in good working order. Why is this important in the winter? If your car breaks down in winter, you could be facing an emergency situation. Being stranded on the side of the road in cold weather is much more dangerous than being stranded on a pleasant summer day, so make sure your car is in good shape to prevent a breakdown. Have your mechanic check your antifreeze to ensure it is ready to stay in liquid form, no matter how cold the temperatures dip. If you have less than a 50/50 mix of antifreeze and water, your car may not be protected when temperatures drop below zero. A 50/50 mix protects your car at temperatures up to 34 degrees below zero. When it starts to snow and ice, your windshield wipers will be your first line of defense to ensure you can continue to see while driving. Make sure they are in good condition, and replace them if they are showing signs of wear. Also, make sure the windshield washer reservoir is full, because the salt spray in winter weather can make visibility difficult. The winter is not the time to run the car near empty. There's just too much risk that you could end up in a ditch. Plus, without gas in the tank, you could end up without a way to heat the car. Keep the tank half full at all times to prevent a tragedy. You need a working defrost system to ensure that you have visibility at all times. Make sure the rear window defroster is working, and check the defrost on the front windshield as well. You need to be able to see in order to drive safely, and the defrost systems are a key component of maintaining visibility. Remember, it's unlikely that you'll get stuck in a serious blizzard for hours, but it could happen. You need to be prepared! Finally, make sure you have the right tires for winter driving. Winter weather or snow tires have specially designed treads, sometimes with studs in them, designed specifically for excellent traction on slick roads. In areas where snow is rare, all-season tires are a good option as well to provide traction in those times when the road gets slick. Are you in need of new winter tires? Tires By Web has a large selection of winter tires, including Nokian Tires, to help keep your vehicle steady on the road. Browse our winter and snow tires today, or call 800-576-1009 to learn more about our options. Incorrect pressure in a single tire can put undue strain on all of your tires and cause you a blowout on the road. Best case scenario: you have a spare and know how to change tires, the weather's good so you aren't braving the elements, and your only worries are the time and effort that the work takes; worst case scenario: you lose control and hit someone when your tire blows. For most people, a lengthy wait for AAA is probably the likeliest scenario. None of these things is particularly appealing, either from a scheduling or financial standpoint. Checking your pressure and ensuring that all tires are properly and evenly filled can prevent every one of these situations. If your tires are too worn down, they lose almost all traction and are more likely to hydroplane over water and snow, which could be incredibly dangerous. One of the easiest ways to tell if your tires are getting worn is to measure your tread depth. The nice thing about this is that it can be easily done at home using a penny. Simply take the penny and place it in the treads with Lincoln's head facing down. If Lincoln's head is completely visible, it means that there is 2/32" or less of depth left, and you definitely need to replace your tires. A similar test can be performed with a quarter to determine whether your treads are at or below 4/32". At this level, you may want to replace tires if you deal with a lot of wet or snowy weather. Remember to test different parts of the tire, as well, as it can wear more in some areas than others. When replacing your tires, you should consider whether to purchase specialty ones while you are at it. 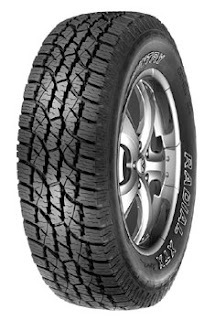 For instance, if you drive a lot of rugged roads and your previous tires weren't really up to the task, you might want to invest in something like Wild Country Sport tires. Or if you deal with a lot of snowy conditions in winter, getting special studded snow tires might be a smart option. Make a decision based on your normal driving habits and environments. Fall and winter mean a lot of rain, falling leaves, and snow; if you can't clear them from your windshield, driving will be not only dangerous, but practically impossible. That's why now is a great time to check your wipers for flaws and change them out for new ones, if necessary. Look for cracks in the rubber or uneven windshield clearing, and replace the wipers if you notice these things. Your heater may not seem that important while the temperatures are still warm during the day, but once it starts getting into the 40s – with nighttime temperatures in the 20s and 30s – your heater can literally be a lifesaver. The last thing you need is for it to fail while you are in the middle of a snowstorm, so it's smart to check the heater now, before it's actually put to the test. Run the heater to make sure that it's still working properly, and if you notice that it isn't getting that warm, take it to a mechanic. Getting new tires is only half the battle against skids this fall; your brakes have to be working in the first place. If they fail while you are on the road, no matter the weather, it could be disastrous for your car, your health, and your insurance rates. Bring your car to your shop and have them test and tighten your brakes as needed. Fall and winter weather are well-known threats to your car's battery. All of the damp can corrode the material of the housing, lead to a failure, and leave you stranded. Take a look at your battery, and bring it to the shop if you notice any visible deterioration. Also, can you remember the last time that the battery was replaced? If it was only a year ago, you're probably fine; if the battery is four years old or older, you should have it checked out. 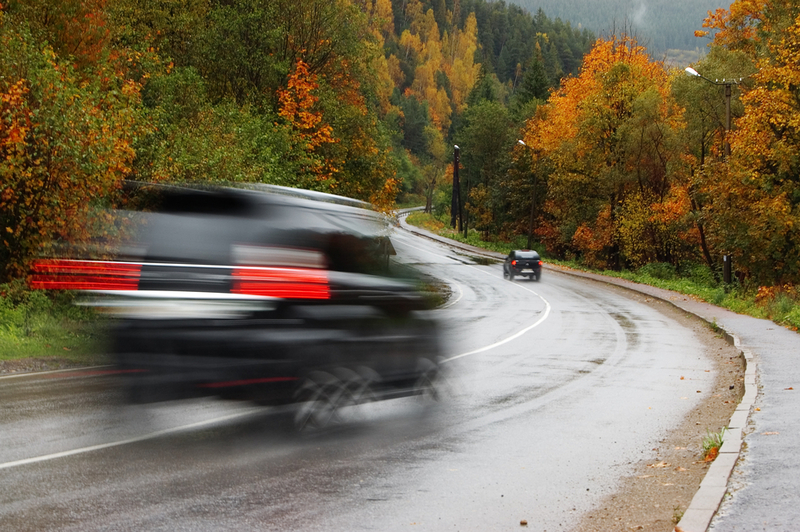 These are just some of the main ways that you can ensure smooth and safe driving this fall and winter. If you need new tires to help with this, check out our inventory at Tires By Web. Not sure which tires to get? Call us today at 1-800-576-1009 to discuss your needs! If you’re looking to buy a used car, you probably already know there are many things you should take into consideration. The shopping experience can be daunting, but necessary to ensure you get a reliable and safe car and at a reasonable expense. Because you’re buying used, it’s even more crucial to making sure your car doesn’t come with any hidden, unpleasant surprises. With that being said, here are a few general pointers on what to keep an eye out for when looking at used cars. Most people start the vehicle inspection from the outside since the physical appearance of the vehicle is what usually catches their attention. While you should certainly check for any paint marks, indents or other damages, what some may overlook are the tires. Sellers should have new tires on any used cars for sale in order to make it more attractive. When car shopping, you should ask the dealer about the age of the tires. Keep in mind that manufacturers recommend a tire inspection when the tires are five years old since that’s when they most likely need replacement. Ignoring the age of the tires and not replacing them with new ones can wind up costing you a good chunk of money. We sell an array of tires and wheels for sale in which you can conveniently shop for any brand or type including XD wheels, Vogue tires and so much more online. Because there are so many important parts under your hood that keep your car functioning, it’s vital check for any dents, damage or rust. If any of these appear, it can be a sign that the car was poorly taken care of. The engine is the heart of your vehicle, so you should check it for any sort of leak or corrosion. Also take a look at the brake fluid to check that it is not leaking, and take notice of the belts, as they should look fairly new. If the sale ad and/or seller don't directly tell you that the heating and air conditioning doesn’t work, you should turn on the systems to ensure that they are working well. If they don’t work and the seller doesn’t inform you beforehand, you may be able to bargain a lower price for the vehicle. While a visual inspection and asking the right questions can tell you a lot about the vehicle, a vehicle history report will reveal the car’s entire accident history. This way, you know of any accidents the vehicle has been in and its repair history. 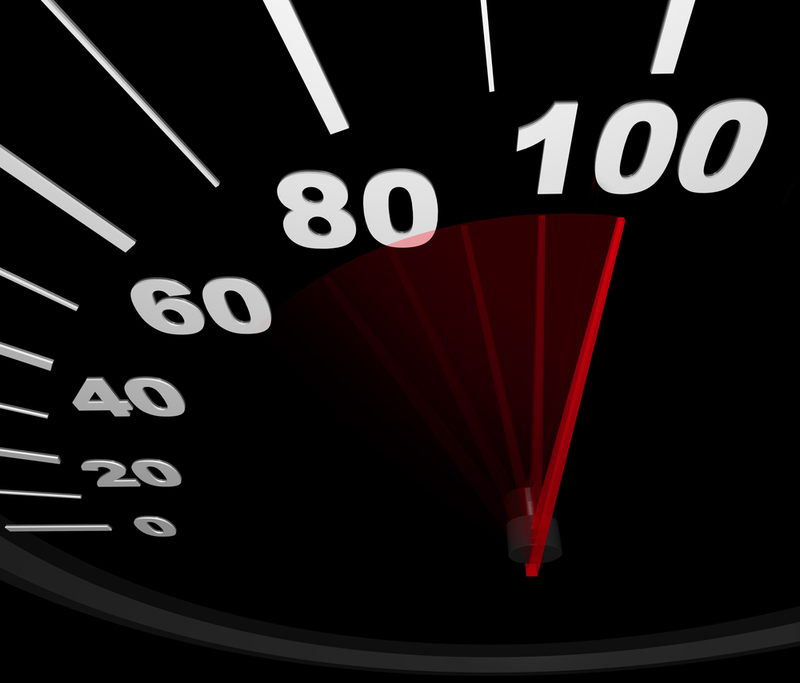 Did you know that your driving habits affect the performance of your vehicle? Even if you do, there's a chance that you forget it, especially when you are late and trying to get to work on time or are switching between hitting the gas and the brakes because you're stuck in traffic. While these situations can be a pain, you should always remember that poor driving habits can have adverse long-term effects on your vehicle. You may find that your car needs unexpected maintenance, or repairs sooner than it should, which can be costly. Driving responsibly ensures that your vehicle components last for as long as they should and that your car continues to function. To keep your vehicle in good condition, avoid these poor driving habits. More people are guilty of this than they may think. Speeding puts you at risk of getting a ticket or being involved in an accident, and wastes gas. It also forces your engine to work harder to pump more fuel, thus increasing the emissions. High speeds can increase the rate of tire wear, as well, possibly forcing you to replace the tires earlier than you might have anticipated. Allowing your car to warm up for a minute or two when it's cold outside is a common precaution – and a necessary one. Cold weather is rough on your engine, which actually requires more energy to start in cold temperatures. The oil is also cold and thick, making it more difficult for car parts to operate, and gasoline is harder to burn when it's cold outside. Taking a little time to let the car warm up can help your engine last longer and run well. You should already know how much cargo your car can hold but, if you're not sure, your owner's manual should indicate it. Placing extra or unnecessary weight on your car can strain the engine, increase wear and tear, and reduce your fuel economy. Driving with overinflated or underinflated tires wears down the treads and wastes fuel. Tires that are not properly inflated can negatively affect your car's handling and braking, and can result in a blowout. 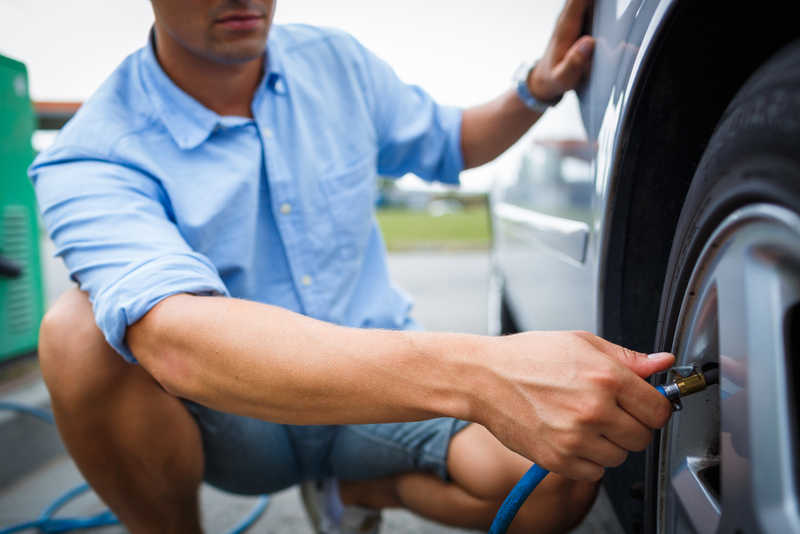 Ensure that your tires are inflated at the proper level and test your tread to see if you need new tires. Should you need a new set, Tires By Web is your place for all your wheel and tire needs! You can find everything you're looking for, from XD Series rims to Vogue tires and more, all at great prices. You may forget how the weather and road conditions can impact braking and visibility. When driving through rain, thunderstorms or snow, you should go at a slower than average speed to ensure that you don't skid. An accident would definitely decrease the life of your vehicle, but skidding and braking can be hard on your tires even if you manage to pull out of it. In other words, better safe than sorry! If you take the above advice, your vehicle, wheels, and other car components will all last longer. If you need new wheels or tires, however, check out our inventory at Tires By Web! Cleaning your car regularly is not just about visual appearance, but functionality as well. Regular cosmetic care keeps your car polished and looking great, and also protects your valuable investment and allows it to last longer. While cleaning your car isn't a hard task, it is crucial that you pay special attention to those hard-to-reach areas such as inside the wheels and around your tires. When you neglect to clean your wheels for an extended period of time, brake dust accrues. Brake dust contains an adhesive and carbon fibers, which come from your brake pad and minor metal shavings from the rotor. Along with the excessive heat and wheel friction, this combination is highly corrosive. If you drive every day or quite often, brake dust is constantly being produced; therefore, the best way to keep your wheels protected is to give them a good cleaning. 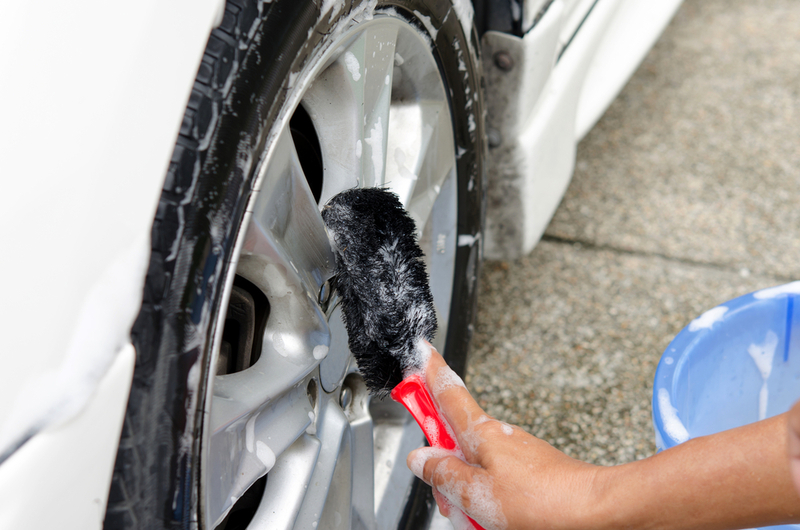 First, rinse your wheels and tires with water to remove any loose dirt or debris. If you are washing your entire car, your tires are the best place to start so that you don't splash onto already clean areas of the car. Depending on when you last cleaned your tires, you may stick with the basic soap and water, or you may use a tire cleaner. If it's your first time cleaning your tires or you haven't cleaned them for some time, use a tire and wheel cleaner since the brake dust may have caked on. Also, make sure to choose a cleaner that is suitable for the type of wheels and wheel coating on your vehicle. For example, if you have American Racing Torque Thrust wheels on your car, then you will want to use a fairly mild cleaner; if you have cheaper wheels, it won't matter as much if you use more abrasive chemicals. You should use a tire brush to gently scrub off the debris. There are a variety of tire brushes available, but you may want to look for one with feathered bristles that will remove dirt and debris without hurting your tires. Always clean each tire and wheel one at a time, and rinse with water when finished. You may think that drying isn't necessary, but it actually helps to ensure that you got all of the brake dust and also prevents water spots. This step isn't mandatory, but applying a layer of wax once your wheels are clean can protect their sheen and prevent brake dust from building up. Check out our blog at Tires By Web for more car care tips! Your turf tires are important. After all, without them your riding lawn mower, ATV or tractor would have some serious problems. That's why it's important to be informed about these tires so you can get the most out of them. Whether you're looking to purchase new Turf tires for your equipment or are curious about which ones are best, take a look at these commonly asked questions. 1. How Much Does Usage Affect the Longevity of My Tires? Short answer: a lot. This may come into play a bit more if the tires are for an ATV, as the terrain you are traversing is meant to be rough. But a lawnmower or tractor will still encounter debris, animal burrows, and other things that can damage or simply wear down your tires. To get the most out of your tires, avoid any areas that could puncture them as much as possible. 2. How Do I Determine which Tires Fit My Vehicle? While you can easily switch out your current tires for different ones, remember that they all differ with regards to size, weight, and the type of terrain they are equipped to handle. Therefore, if you drive a lawn mower, it wouldn't make sense to purchase tires that are more suitable for a massive farm tractor. Check your owner's manual for the recommended tire type or conveniently search on our website! 3. Can I Mix and Match Different Tire Types? In order to experience the best all-around performance, you shouldn't mix and match different tires. Tires affect vehicle handling and stability differently, so mixing tires can make driving very difficult. 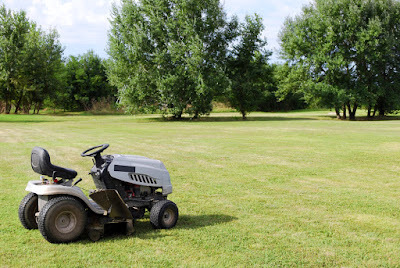 If you're interested in buying turf tires, be sure to buy either four or two of each, depending on your equipment's requirements (for instance, many riding lawnmowers commonly have larger back tires than front ones). 4. When Should I Purchase New Tires? For the best driving experience, it's important that you replace your tires with new ones, when necessary. Ideally, you should purchase new tires when your current treads are worn. Driving with poor treads makes handling the wet lawns and fields much more difficult because of the lack of traction. 5. What's the Proper Air Pressure for My Tires? This is determined by the manufacturer and can be located in your owner's manual or on the tires. You should ensure your tires are not over or underinflated, as this can make your tires more prone to punctures and damage. Call or contact us at Tires By Web for more information about our selection of Turf tires and which ones would be most appropriate for your equipment! Getting a flat tire while you're off-roading with your ATV is not a fun experience. It takes you away from the trails and fun, and changing a flat tire on these vehicles isn't exactly a quick process. While there is no guaranteed method for preventing a flat, there are precautions you can take to help reduce the chances of it happening. If your tires don't have the correct amount of air pressure, you are much more likely to experience issues. Underinflated tires commonly result in blowouts and flats, and overinflated tires are prone to damage from bumpy trails and rocks. You can avoid these problems by simply checking your pressure and ensuring that your tires don't have too little or too much air. 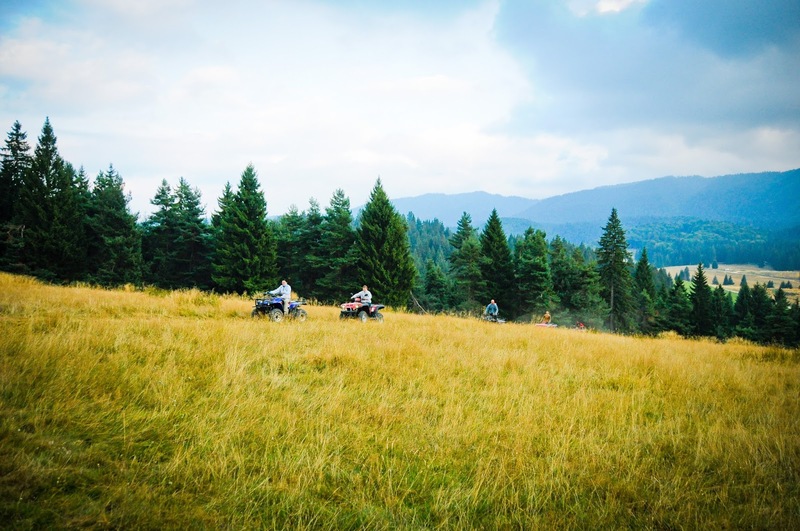 You should visually inspect your tires for uneven tread, which can cause your ATV to experience handling problems. Take notice of any excessive wear, as well. Over time, the tread wears down and, when it does, you will need to replace your tires. If you have non-directional tires (i.e. not explicitly made for a specific wheel), you can switch them when they start to wear, as long as the wear is distributed equally on both tires. This will allow you to get better traction again and the longest life out of your tires. While the entire point of an ATV may be to traverse the rougher terrain that your car wouldn't have a chance of handling, there's no need to take unnecessary chances. For instance, see a big, sharp rock that you don't have to go over? Drive around it! And take it easy going around corners. As with a car, hard, fast cornering will wear your tires out much more quickly than using a little bit of caution will. Because tires come in different sizes, materials, treads, and more, the type you purchase plays a major role in their ability to handle the trails. When shopping for new tires, search for a thick tread that is puncture resistant. As your leading tire provider, we at Tires By Web want to help you avoid major inconveniences and protect your investment. With a multitude of options like Desert Tires, we hope to ensure that your off-roading trips remain enjoyable and flat free!